Vietnam's retail market posted sales of more than VND2.46 trillion (US$108.8 billion) in a "quite busy" year with the entry and expansion of many foreign and local retailers. According to the General Statistics Office, that was an increase of 10.6 percent and surpassed most projections. Local and international market forecasts earlier suggested retail sales could only reach $109 billion in 2017. Home appliances recorded the highest rise of 15 percent, followed by food and clothing with growths of 14.8 and 13.3 percent, according to the official figures. Many foreign retailers have either broken into the market or announced plans to do so, including South Korean discount store chain E-mart and Japan's biggest convenience store chain 7-Eleven. Those who are already present here have been gearing for expansions, such as Japan's Aeon with a plan to open 200 stores around the country and France's AuchanSuper expecting to open 17 supermarkets by the end of next year. Aeon does not provide a timeframe for its plan. Local retailers such as Saigon Co-op, which runs the popular chain Co.opmart, and Vingroup, which owns convenience stores, supermarkets and shopping malls, have also aggressively expanded their activities. 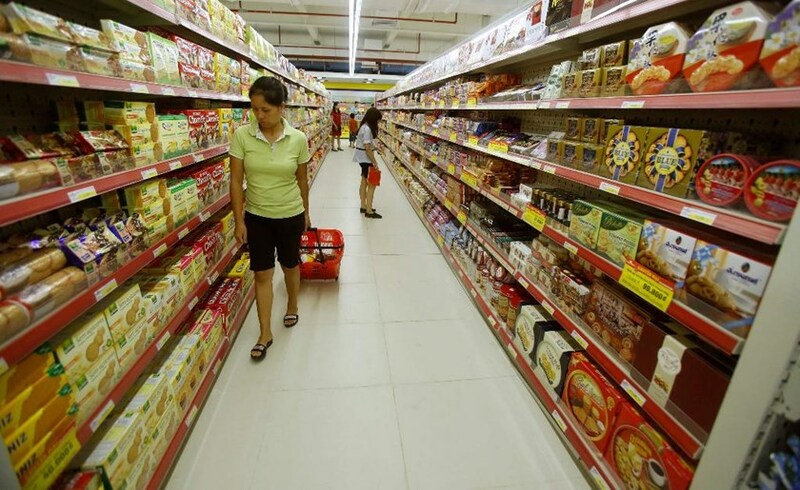 Recent figures from the Ministry of Industry and Trade showed that with 724 supermarkets, 132 shopping malls and hundreds of convenience stores, modern retail channels now account for around 25 percent of Vietnam's market, Saigon Times Online reported. The sector still has a lot room to grow in Vietnam, where more than half of the 93-million-plus population are young with GDP per capita expected to increase very fast from over $2,100 at the moment, the website quoted the ministry's statistics as saying. The ministry forecast modern retail's market share will exceed 45 percent in 2020 with around 1,200- 1,300 supermarkets, more than 300 shopping malls, and thousands of convenience stores.